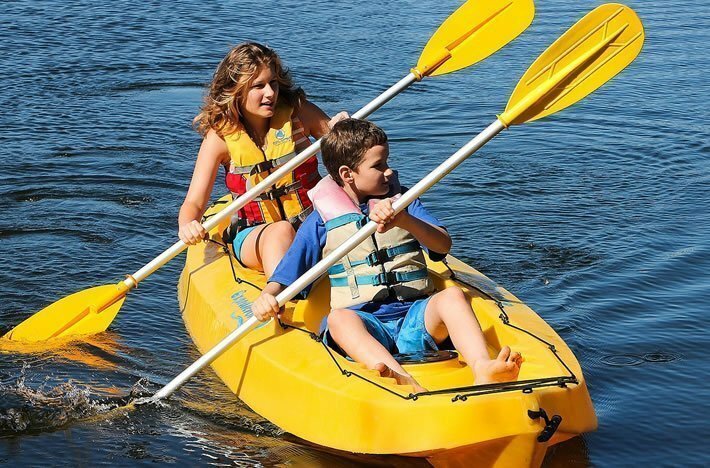 Kayaks make water travel fun, but it is important to choose the right one to get the most out of your experience. There are many things you need to know about kayaks before you buy one. You can use this guide to buying a kayak to ensure that you find the perfect kayak to meet your needs. There are two primary kayak types. This kayak buying guide section will look at each of them. This is best for easy flowing rivers and small lakes. They usually have limited storage, but they are easier to exit should your kayak capsize. This type of kayak is usually more comfortable. You might consider this type for longer trips. They usually have a cargo compartment that is covered so that you can carry your essentials. This type of kayak also tends to be easier to control even on rough water. This element of this guide to buying a kayak will explore the alternative kayak types that are available. This type is ideal for saving storage space or making it easier to travel with your vessel. Overall, they are relatively versatile and sturdy. 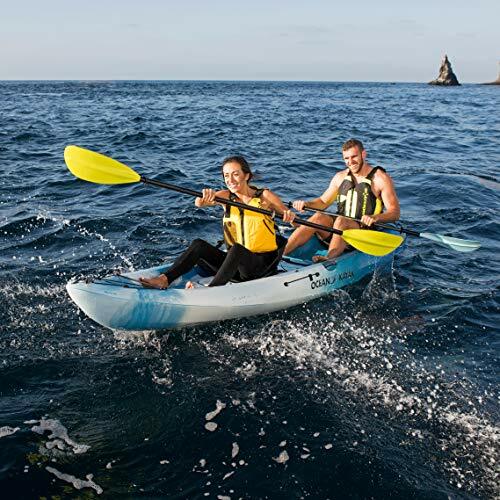 There are rugged options, but the standard inflatable kayak is best for recreational kayaking where speed is not a factor. If you live in a small space or you take your kayak on hikes, this is a good choice. 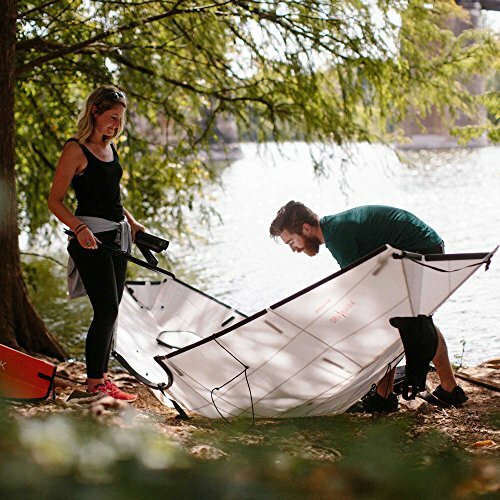 The folding ability makes the kayak easier to take with you. Compared to a hard-shell kayak, the folding type is not as rugged. However, it handles similar to different touring boats. 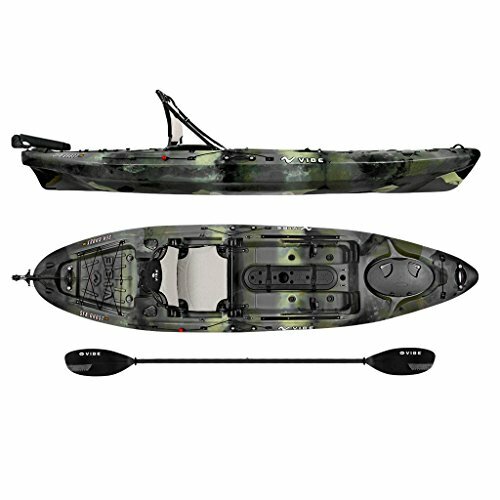 If you are looking for a small boat for fishing, this kayak type is a good choice. These kayaks usually have rod holders or the ability to install them. Some of the more sophisticated models feature pedal propulsion systems. This type of kayak can accommodate two people. If you often kayak with a partner, this is a way to save space and money. This can also make it easier to paddle since two people will be doing it. These are relatively stable, easy to turn and getting in and out is not difficult. This type is not a good choice for waves, rapids or longer trips. They usually have limited storage. This type is robust and long. These are ideal for long distances due to their efficiency. They handle the wind well due to their skeg or rudder. This is a sleek and versatile kayak. It can move efficiently and track straighter. This ensures greater control when you are in rough water. As part of our guide to buying a kayak we will explore the different kinds of water and how the various kayak types work within these water types. The coast has waves, tides, wind, currents and other natural elements. A sit-in touring boat is a good choice for this type of water. Look for one with a skeg or a rudder. Since your body is fully in the kayak, this can make it harder to get in and out though. If you plan to cruise the coast and swim you might consider a sit-on-top kayak. Rivers that are stable and without rapids allow you to float down the water. A sturdy boat that makes it easy to turn quickly is ideal since rivers can wind. You can choose a sit-on-top or a sit-in kayak for this purpose. If you are at a small lake, a recreational sit-in boat or a sit-on-top one works well. It is important to avoid days where there are whitecaps since these can quickly capsize your boat. As part of our kayak buying guide, we will explore the common materials that make up kayaks. The material plays a role in how easy it is to load and carry your vessel. It also contributes to the overall weight capacity. Compared to polyethylene, this material is a little more expensive, but it is also more durable. This material also offers some UV resistance. The hull and deck are typically made separately and then the manufacturer bonds them together. This material is resistant to abrasion and less expensive than other materials. It is the least lightweight, however. When this kayak is in the sun for prolonged periods of time, it can degrade due to UV rays. Boats made of this material include ultralight carbon-fiber and lightweight fiberglass. They usually offer the best performance. However, while UV rays usually do not cause damage, rock impacts can result in damage. Primary stability is the stability you feel when you initially get into the kayak. This is what prevents the boat from flipping when you get inside and sit down. The secondary type refers to how stable the boat is when you paddle. The more stability you have, the harder it is to tip over as you paddle. This type is maneuverable and stable. They are ideal for flat water conditions and for kayakers who want to boat recreationally. Their primary stability is strong. This type is ideal for cutting through the water. It helps the boat to travel in a straight line. This kayak may be good for you if you plan to take long-distance kayaking trips. While they have the least initial stability, their secondary stability is superior. This refers to where the sides and the bottom of the boat meet. The chine angles can be hard or soft. In most cases, a kayak will use a multi-chine hull. A boat’s secondary stability strengthens as the chine gets softer. The rounded hull helps to increase the speed at which the kayak can travel. It allows the boat to glide easier through the water. The kayak has greater secondary stability and will be more maneuverable. This type has a rounded and a flat hull for the best balance between secondary and primary stability. However, this kayak type tends to be the slowest when you are paddling. The are several other specifications and accessories you should know more about. The first thing to consider is the weight capacity. When you look at weight capacity, consider the total weight of your gear and your body weight. If you put too much weight into a kayak, it can overload it. This can compromise your paddling efficiency and make the boat sit too low once you load it up in the water. You should also consider the width and length. If you want a kayak that has speed, consider a narrower hull. However, if you need greater primary stability, look for one that has a wider hull. The longer the kayak, the more efficiently it can cruise. If you plan to go on long rides, a longer boat is ideal since it can usually hold more gear with greater weight distribution. If you want a kayak that can turn faster, look into one that has a shorter hull. Another consider is the depth of the kayak. A deeper kayak tends to be the better choice for people who want more storage. If you are tall, having more depth can make the boat more comfortable to ride in. If you tend to kayak in areas where there is a lot of wind, consider a hull that is shallower. It will not slow down as much on windy days since the reduced depth means the boat is less affected by the wind. 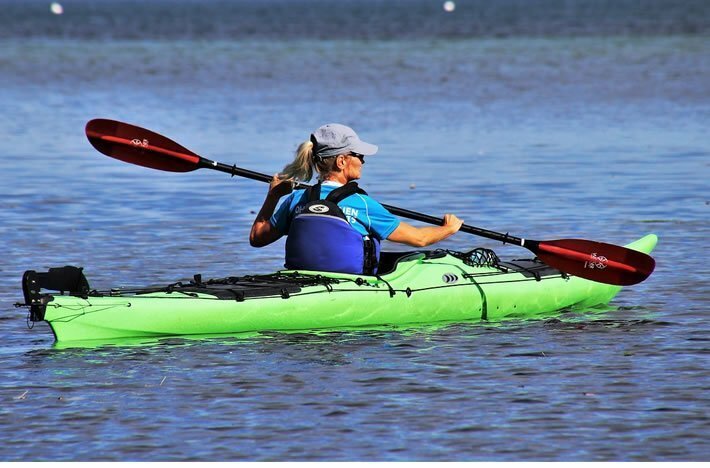 You will spend a lot of time in the seat, so knowing more about your seat options is an essential element to buying a kayak. Seats can increase the price of the kayak, so take this into consideration as you are shopping. Some seats have adjustable features to ensure greater comfort. You can also find seats that are ergonomic or those with more padding. Think about your current seat and which upgrades you would like to make to it. If you go on long rides often, you might consider a boat with a hatch. This is where you can put your essentials into the interior of the kayak. Not all kayaks have this feature. However, when hatches are present, there is usually one unless you have a larger touring boat. This vessel often has two hatches. Skegs and rudders work to ensure that the boat can drive straighter in the wind. The skeg is a type of fin that drops down. It works to stop side winds from being able to push the boat off of its course. A rudder is another type of fin that you can put on the back of your kayak. However, unlike a skeg, it is not fixed. You can use foot pedals to readjust it. This ensures greater responsiveness if the water conditions change as you are boating. If you are a casual kayaker, you might consider a larger cockpit. This will make it easier to exit and board your kayak. However, when the cockpit is more snug, this can protect you in rough conditions and give you more control over the vessel. Use this kayak buying guide to ensure that you make the right choice. Consider your level of experience with kayaking and the waterways you plan to kayak in. This will help you to narrow down the options so that you can pick the best one. You can checkout a wide variety of amazing kayaks on Amazon.com.